A couple of years ago Sofia's headline was something along the lines of 'Cheapest European Capital', but as well as moving out from behind the Iron curtain, and moving on from its reputation of being run by ex-Olympic-wrestlers turned drug smugglers, Sofia has moved on from low prices being a selling point. The best places to stay in Sofia are no longer the cheap dives that cost you next to nothing! Bulgaria's biggest city, but still delightfully compact for walking around, Sofia is pushing forwards like a young, vibrant butterfly, and is a city full of new, trendy developments and well stocked museums and galleries. An unmissable sight of Sofia is the Aleksander Nevski church. You won't miss it because it's a vast, awe-inspiring piece of neo-Byzantine architecture decorated with golden domes and ornate mosaics. But you also won't want to miss it. Commemorating the 200,000 Russian soldiers who died in Bulgaria's war of independence against the Turks, it houses most of Bulgaria's religious treasures. It's also worth dropping in on the Royal Palace, the Archaeological Museum, the Sveta Nedelya Cathedral, the Turkish Baths, and taking a trip up to the Vitosha Nature Park. If this looks like it'll take you more than a few days, you'd be right, and that's before you pack in Sofia's lively eating, drinking and dancing scenes. Sofia hasn't totally shed its Soviet era uniform, and the remnants of this period, the neo-classical Stalinist civic buildings, Red Army monuments and concrete tower blocks, add to the exciting east-meets-west feeling. The pre-Soviet architecture tells many tales of its own, there are wonderfully ornate onion domed churches around the corner from a mosque built by the Ottomans and a graceful tree-lined, balconied building built by a 19th Century Viennese architect. This beautiful spot, ringed dramatically by the Balkan Mountains to the north and the Vitosha Mountains to the south, and with its own source of natural mineral waters, has been fought over a number of times, and it still shows. Maybe it's this proximity to the mountains, but Sofia has plenty of green space as well, and in season people can drive up to the ski slopes of Mt. Vitosha for the day. One of the city's best parks is Borisova Gradina, which also has some gigantic Soviet Military monuments. The Sense Hotel is one of the best places to stay in Sofia if you want to be right in the historic centre. A minimalist, luxurious haven when all around are ancient treasures. The views from the roof terrace are unbeatable, there's a spa to relax after all that walking round town, and the food is supposed to be excellent. Sofia Airport has direct links to Heathrow, Gatwick and Manchester in the UK and to many other European and Middle Eastern cities, including Berlin, Paris, Moscow, Rome, Bucharest, Vienna and Dubai. You can catch the number 84 bus from the airport nine kilometres into to the centre of town, which takes around half an hour, or you can catch a yellow taxi from the designated stand. April through September are the nicest months to visit Sofia as far as the weather is concerned, but it’s a city destination so still fantastic in the cooler months. Contact, one of our friendly gurus for advice. 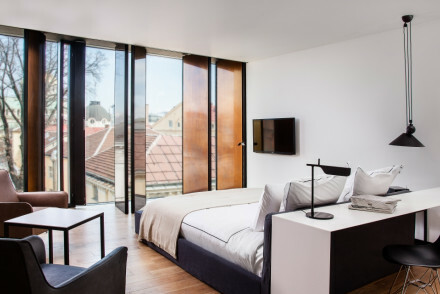 A fantastic design hotel in the Sofia's historic centre. Contemporary chic and subtle minimalism throughout. Glamorous rooms and suites combine glass, teak, and all the mod cons to luxurious effect. Fabulous fusion Mediterranean restaurant, roof top bar, and spa. Roof terrace - Panormamic views from the roof top bar. Sights nearby - St. Alexander Nevski Cathedral, St. Sofia Statue, National Art Gallery, Sofia University. 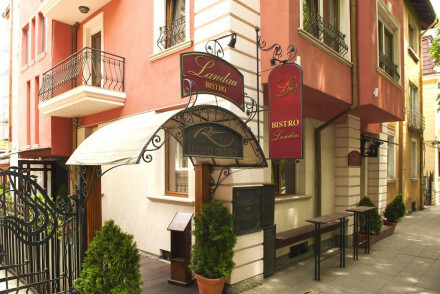 An elegant property set in the heart of the city in one of Sofia's most prestigious neighbourhoods. Traditionally dressed rooms feature softly patterned fabrics, antique furniture and large floor to ceiling windows. A smart base to explore the city from. Local exploring - Well positioned in the neighbourhood of Doctor's Garden, ideal for accessing the city's main attractions. Sights nearby - Visit the striking Alexander Nevsky Cathedral.